Haaaayooo, IIFYM makes me happy. My parents wanted to roast marshmallows (note: we wanted to roast them outside, but it started to rain. SADFACE). During my ED, I would have immediately said nonononope, too full, sorry! BUUUUT (always a but), the truth is, I really wanted to eat the s’mores. 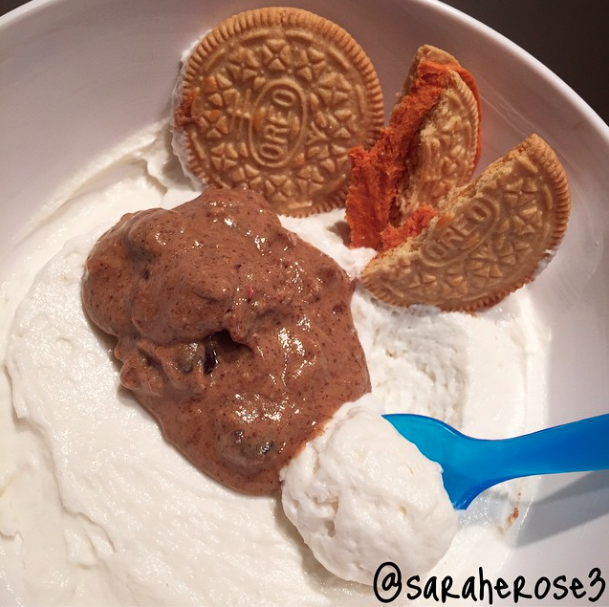 This time, the s’mores fit my dang macros. My parents seemed so proud, which made me really happy. Roast the marshmallow on a stick over your stove (must be a gas stove that has a flame! If not, use a fire outside). 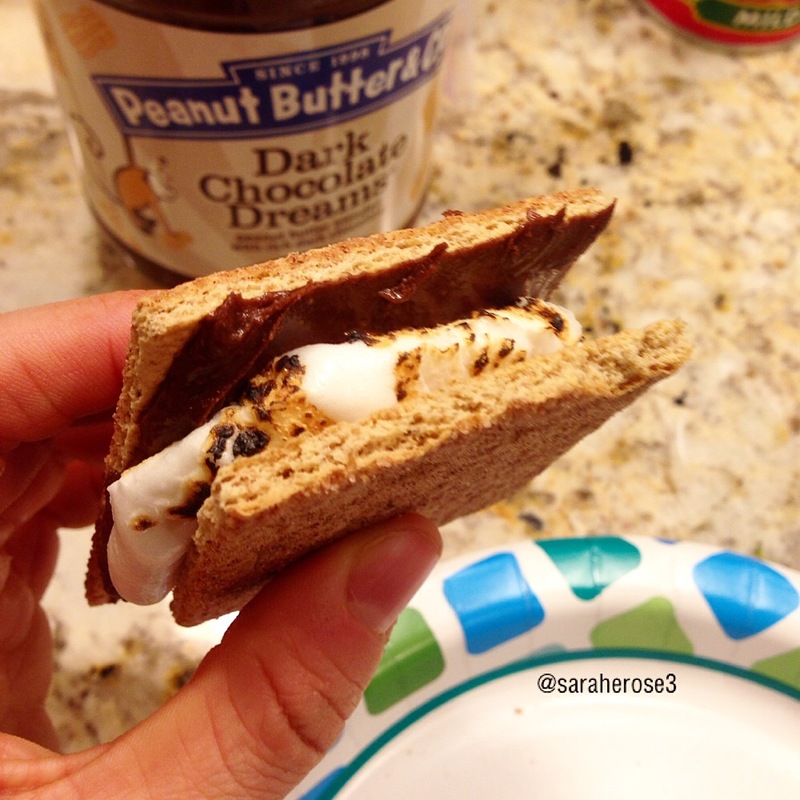 Break the graham cracker into two and spread one (or both) side(s) with your dark chocolate dreams peanut butter. Put the marshmallow on one side, then close that puppy, and EAT! I made TWO, but this only explained one. If ya want more, repeat!